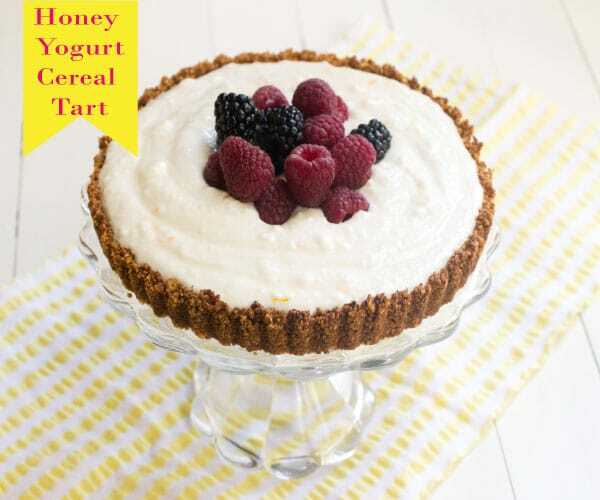 I made this Yogurt Berry Tart this weekend using Mountain High Honey Yoghurt®. When I eat yogurt I sweeten it up with a little honey. Now I don’t have to with Mountain High’s. It already has that sweet honey flavor. Recently Mountain High invited me to create a recipe for their new Honey flavor. 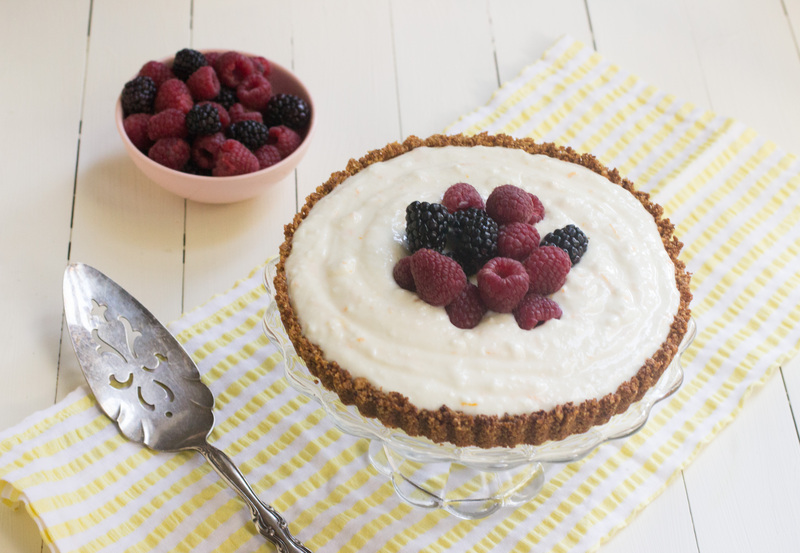 This Yogurt Berry tart is perfect for a weekend breakfast or brunch. 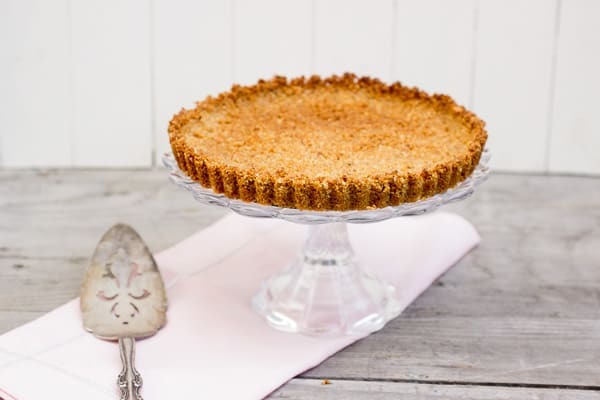 Make the tart shell with cereal and nuts. I love the sweet, tart and crunchy combination. I think the tart makes a pretty addition to your morning breakfast table. Place 5 cups of your favorite cereal flakes along with the pecans into a food processor. Pulse ten times. 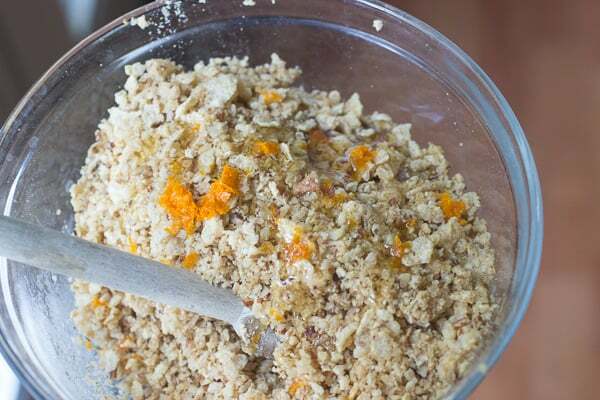 Stir in 1 tablespoon orange zest, honey and butter. Press in the bottom of a tart shell. Bake at 350 for 10 to 15 minutes or until golden brown. Remove from oven and cool completely. You can make this the day ahead and cover. 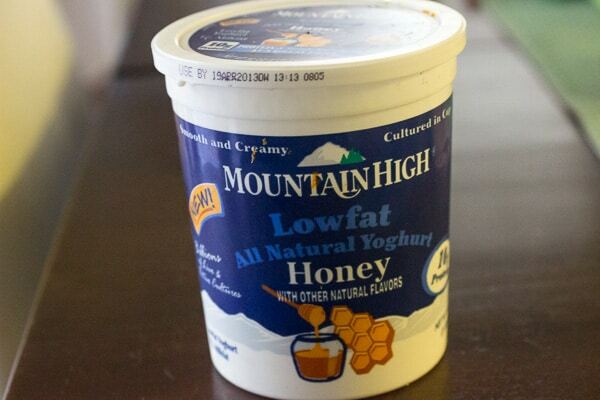 Open a large container of Mountain High Honey Yoghurt and stir in the remaining 1 tablespoon orange zest. Refrigerate until ready to serve. Right before serving fill the tart with the yogurt and top with berries. Avoid filling ahead of time because the tart shell will get soggy. These would be really cute in individual tart shells. It would almost be like a little bowl holding the yogurt and berries. If you missed my previous recipes for Mountain High you can check out Skinny Penne All Vodka or Cinnamon Apple Scones. I have discovered how easy it is to substitute yogurt in some of my favorite recipes. What recipes would you like to see made into Skinny versions? Leave a comment and I will pick one to make. If you live in Orange County join me this Saturday at Surfas Culinary District for a free cooking demo. I will be cooking up Healthy Mexican Food. I’d love to meet you. Stir remaining orange zest into the container of Mountain High Honey Yoghurt. Refrigerate until ready to serve. Pour Yoghurt into tart shell and top with berries. Serve immediately.